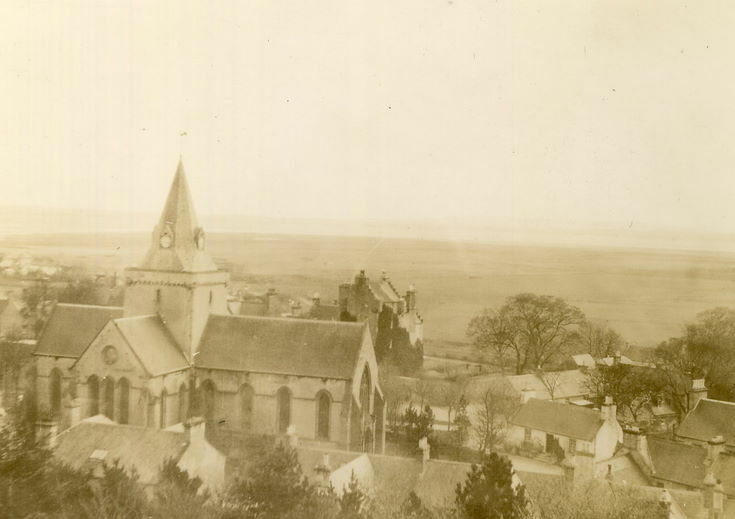 Monochrome photograph of Dornoch Cathedral seen from from the area of the Burghfield hotel. . From an album of postcards and photographs taken by Mrs J.I.C. Mackay of Dornoch and surrounding area.